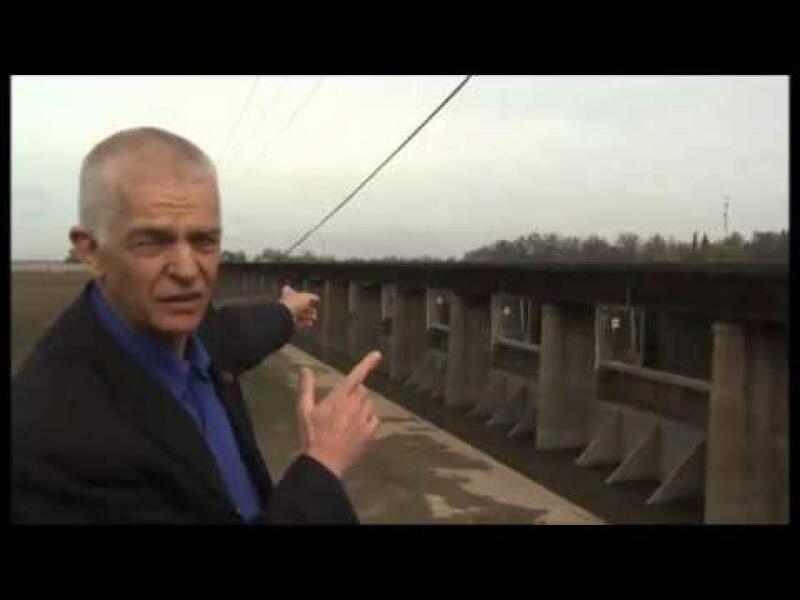 The Yolo Bypass is part of a larger system developed on the Sacramento River to provide bypass flood areas, which act as catch basins to deter flooding in communities such as Sacramento and West Sacramento. In wet times, particularly during the winter, the Yolo Bypass fills with water. Weirs are then used to drain overflow through creeks and ultimately to the Sacramento-San Joaquin Delta. During dry seasons, such as summer, the Yolo Bypass is home to agriculture. Bat colonies under the causeway between Davis and Sacramento help fertilize fields and with insect control. The Yolo Bypass is also home to the Vic Fazio Wildlife Refuge. The refuge is considered a model public/private wetland restoration effort near a large urban area. It also serves as habitat for native fish such as sturgeon and salmon and as an important stop for migratory waterfowl and birds on the Pacific Flyway. It also provides year-round wet (flooded) conditions to create habitat during the dry season.